What's the most popular application software in the world? Most likely, Microsoft Office. You use it, your colleagues use it, your relatives use it, and just about everyone you know uses it. You certainly aren't getting the most out of it, though. That's where downloads can make the difference. We've assembled 15 great downloads to help you use Outlook, Word, Excel, and PowerPoint more effectively. With these downloads, you'll be able to cut through e-mail clutter, create PDF files for free, use Excel to run a business, and shrink massive PowerPoint files, among other things. And they're all free or almost free. It's time to get downloading and boost your productivity. Note: To find all of the files in this story in one convenient place, see our "Optimize Microsoft Office" downloads collection. The following three downloads are a great place to start if you're looking for overall help with Office. With these programs, you can recover lost product keys, kill privacy-invading information, and even replace Office with a free alternative. Say you need to reinstall Office or some Office component. To do so, you need Office's product key--but if you can't locate the CD from which you installed Office, you no longer have the product key. What to do? Get ProduKey. 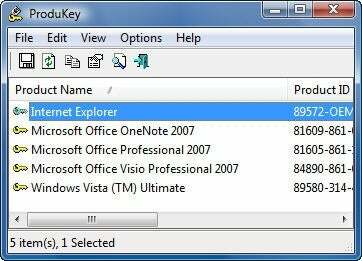 Run the program, and it shows all product keys for every one of your Microsoft Office applications; it also displays them for Windows, Windows Server, and Microsoft SQL Server. Once you have the key, you're ready to go. For techies or network administrators, the tool has a variety of command-line options, such as for obtaining a product key from a remote PC, and for saving product key information to a text file. What's hidden in your Microsoft Office documents could harm you. A lot more information than you may imagine is lurking in your Office documents, and anyone who receives and views them can see everything. Documents hold hidden text, names of authors, revision history and markup, hidden cells, hidden spreadsheets, the total number and time of revisions, and other details. Think that doesn't matter? Think again. In 2006, Google accidentally told the world about highly sensitive financial projections because it posted a PowerPoint presentation containing notes with the confidential information. And in 2003, British Prime Minister Tony Blair's top communications aide, Alistair Campbell, released a Word document with hidden information that proved that the British government had used plagiarized documents as a way to justify its involvement in the Iraq war. This free program will make sure that nothing similar happens to you. 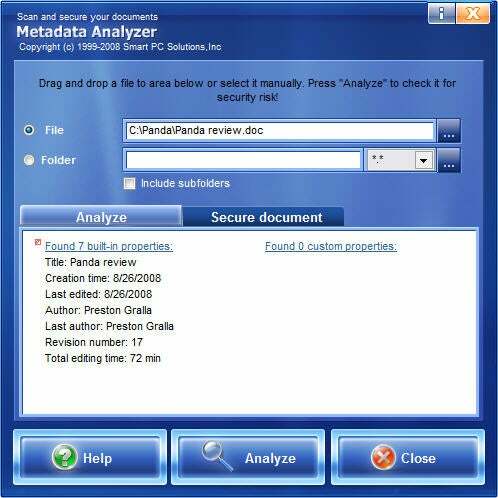 Point it at any document, and it analyzes the file, showing you all the private information lurking within. The program will then clean up the document so that the information drops out of sight. Microsoft Office costs hundreds of dollars, depending on the version you buy. 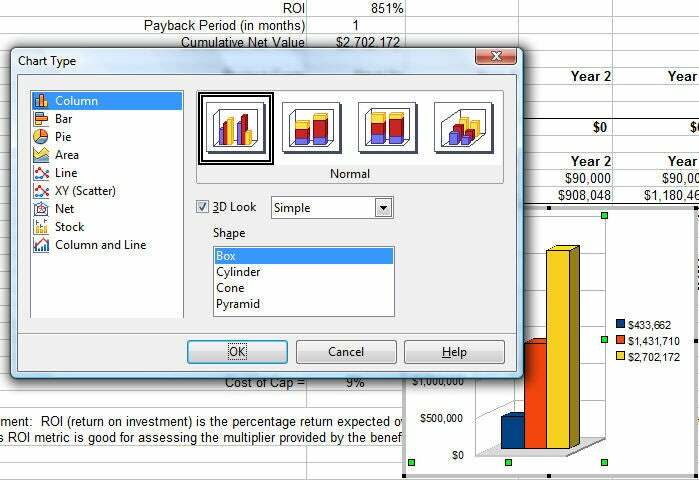 If you're looking for a new office suite but you don't want to hand over that much money, grab this free, surprisingly powerful suite instead. It has a word processor, a spreadsheet, a presentation program, a database, and a drawing program, and even a "mathematical function calculator" if you need that sort of thing. No need to worry about compatibility with Microsoft Office formats: OpenOffice handles all of those, as well as open-source formats. Each program in the suite offers just about all the power you'll require. If this free suite has any drawbacks, it's that the interface isn't as polished as Microsoft Office's, and it lacks a few bells and whistles. Still, free is free, and if you're seeking a way to avoid spending big bucks for a suite, it's a great choice.